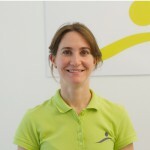 She finished her studies of Physiotherapy in Escola Superior de Saúde Dr. Lopes Dias, in Portugal in 2008 and this same year she joined the team of Bettina Paeth-Rölfs in Barcelona (Spain). To expand her proffessional training in the field of neurological physiotherapy, she entered the master degree course “Rehabilitation in Neurology: Practical application of the valoration and treatment” in the University school Gimbernat, belonging to the U. A. B. (Barcelona, Spain) and finished it in 2011 with the study of “Early weariness in patients with chronical ictus”. Later and to broaden her scientific knowledge, she obtained in 2013 the master degree in Neurosciences in the University Pablo Olavide in Seville (Spain). Further to her professional experience with Bettina Paeth-Rölfs’ team, she also made the complete training as Bobath therapist. She also made several courses of introduction to the Bobath concept (normal movement) with the Bobath tutors Cristina Soares (Portugal) and Bettina Paeth-Rölfs (Spain) and the course of introduction to Bobath concept in children with cerebral palsy with the tutor Marisa Frontera (Spain). 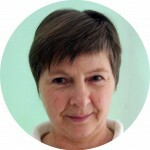 She has been trained by Bettina Paeth-Rölfs in the “Basic course of Examination and Treatment in adults with Neurogical Disorders: the Bobath concept” and by the tutor Mary Lynch-Ellerington in the course “Exploration of the functional recovery of the upper limb and hand in neurological patients”. 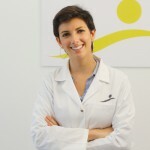 Apart from the conventional training, she has attended several symposia and congresses of the Spanish association of Bobath therapists in Spain. Her training is not only about the Bobath concept. 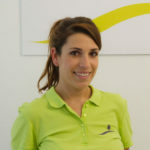 She has also been intensively trained in therapeutic riding (AERID, Portugal), in the Perfetti method, Motor Control and Balance by Anne Shumway-Cook and Marjorie Woolacott, dry needling for hypertonia and spasticity and has conducted an internship in Centro Studi di Rehabilitazione Neurocognitiva Villa Miari (Italy). 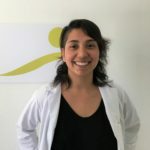 Concerning other aspects in the field of neurological rehabilitation, she has also been trained in the basic methodology for the preventive control of cognitive decline, musicotherapy and basal stimulation. Due to her personal interest and to what the neurological patients demand now-a-days, she has gone in depth about the pain mechanics and their treatment with Dr. Max Zusman and his course “Pain Mechanics and their Therapy through Movement”;” Chronic pain treatment” (Elsevier); “Basic course of dry punction” and “Going out on a Limb: the Anathomy of the Upper Llimb” (University of Pennsylvania’s online course, 2013). 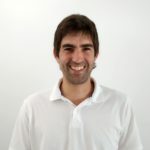 Her professional dedication is complemented by the development of sessions of water therapy (Halliwick, Bad Ragaz, Watsu) whose training was acquired in Portugal and recently renewed in Barcelona (Spain) with the course “Basic Halliwick course”. 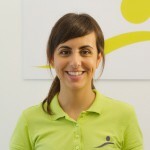 In the field of teaching, she has been active in several local Schools of Physiotherapy (E.U.G., Blanquerna and UAB) and in different meetings.